The Investment Navigator helps you keep your clients informed about how their portfolios are performing, on a regular and individual basis. 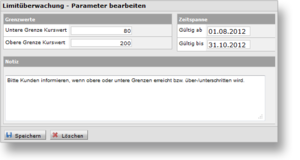 You can do this for any defined period, and you can choose the precise layout specification, too. 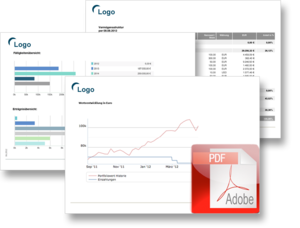 The investment report is available at a fixed monthly price for an unlimited number of reports and with a visual presentation adapted to each client group. Which clients hold positions that have a sell recommendation? Which client portfolios deviate too greatly from the strategic portfolios or are too volatile overall? The flexible reporting and managerial accounting options offered by the Investment Navigator let you create portfolio checks carried out according to criteria of your choice. Production of the reports can be automated by defining the frequency and list of recipients for each type of report. 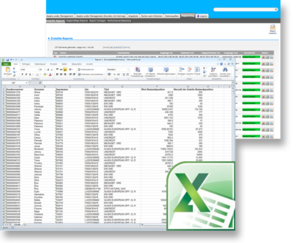 The individual reports generated in this way are sent to the responsible advisers in the form of an Excel spreadsheet, e-mail or SMS message at the specified intervals. In each client portfolio you can set upper and lower price limits for each separate securities position. If these limits are exceeded, the Investment Navigator generates either an automatic alert as a platform message or - if you have configured this in the reporting area - a report, which is sent to the responsible account executive in the form of an Excel spreadsheet, e-mail or SMS message.